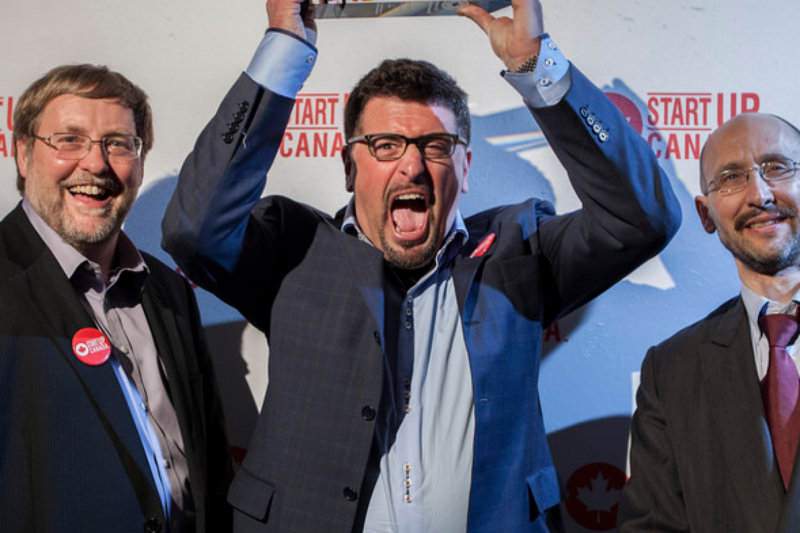 2014 Investor of the Year Randy Thompson is a serial entrepreneur and an angel investor who founded one of Canada’s most active angel groups, VA Angels, which has chapters across Canada. Randy has funded 85 companies in the last 10 years, totalling over $33 m in investment. He is currently invested in 21 companies personally with 4 exits and has been working in the startup venture space for 20 years. 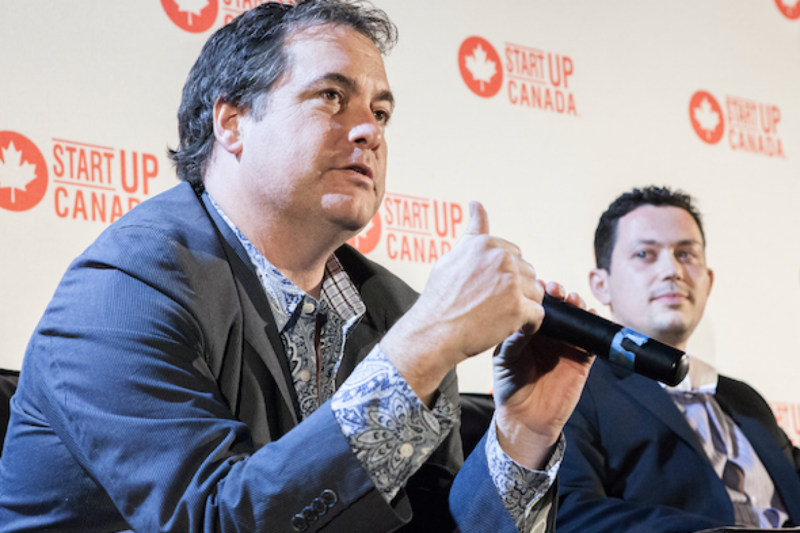 Randy is most proud of the number of companies he has assisted to understand the startup financing process. 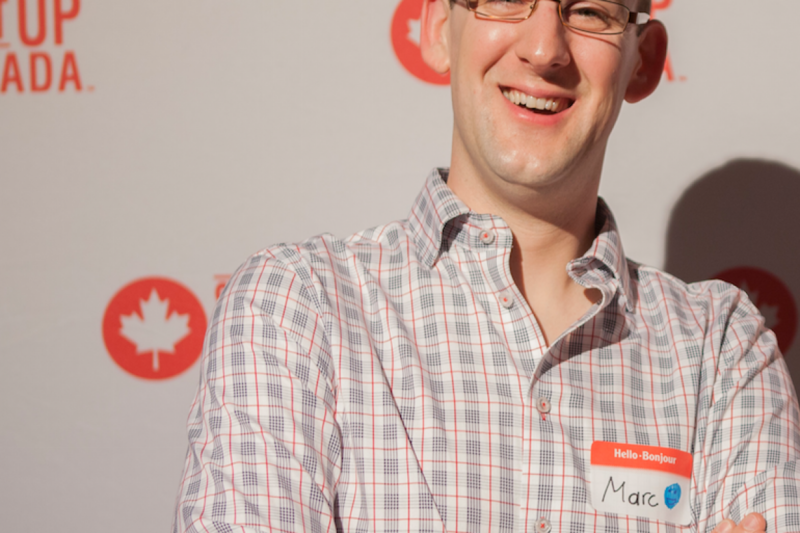 By running finance bootcamps in Canada and in the U.S, Randy enables hundreds of entrepreneurs to find the right type of capital for their venture. Learn more. 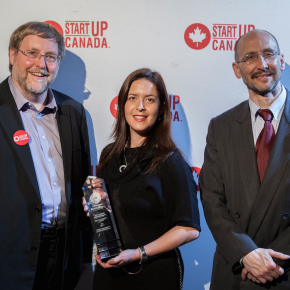 2014 Accelerator of the Year Wavefront accelerates the growth and success of wireless companies by connecting them with critical resources, partners and opportunities, to drive economic and social benefits for Canada. 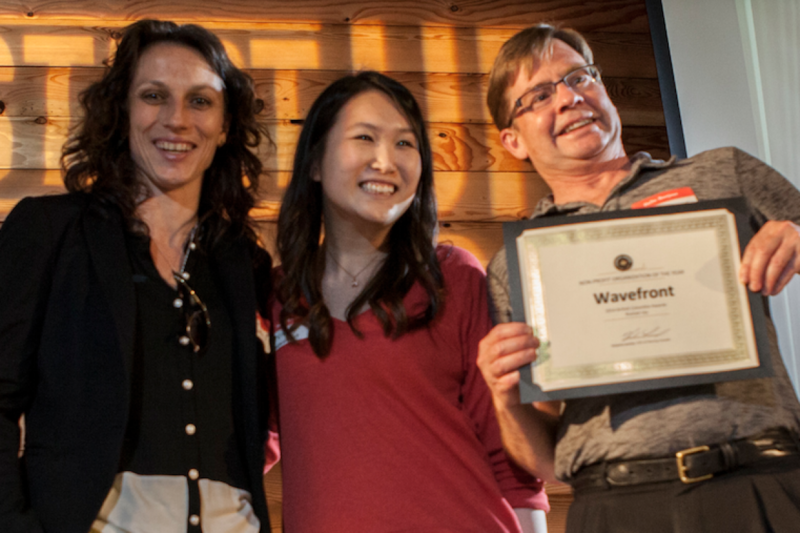 Wavefront provides a suite of accelerated commercialization and mentorship programs, international market linkages, state of the art wireless product development and testing infrastructure, and wireless training programs and events. Wavefront generates $4.80 in economic benefits for every public dollar invested in it and has produced almost $37 million in GDP across the Canadian economy. Companies state that Wavefront has helped accelerate their time to market by four to six months, generated new streams of revenue, and saved them money. 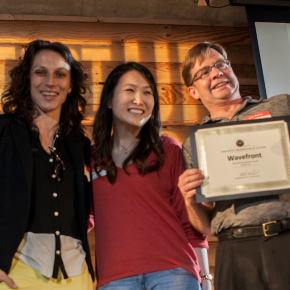 Over the last 12 months Wavefront has: taken 30 companies on 14 International Market Entry trips completed 64 consulting projects 43 companies participated in the Wavefront BC Venture Acceleration Program with 9 graduates and 1 successful acquisition. 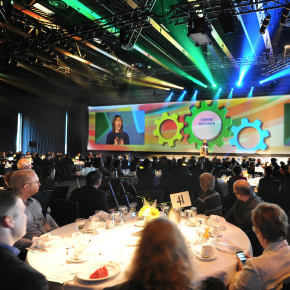 Wavefront held 27 events across Canada, engaging almost 4,000 people and drew an international crowd to the 3rd annual 2014 Wavefront Wireless Summit. 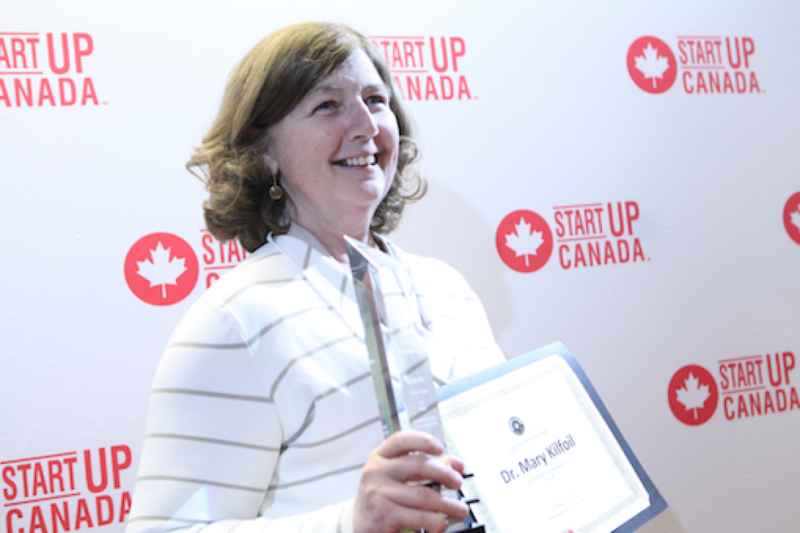 Winner of the 2014 Entrepreneurial Educator of the Year Award Dr. Mary Kilfoil is the Academic Lead for the Starting Lean Initiative powered by Dalhousie Univeristy’s Norman Newman Centre for Entrepreneurship. Mary has also launched a campus-wide course in innovation and design thinking open to students from all faculties. Since launch, the Starting Lean Intiative has been a resounding success! 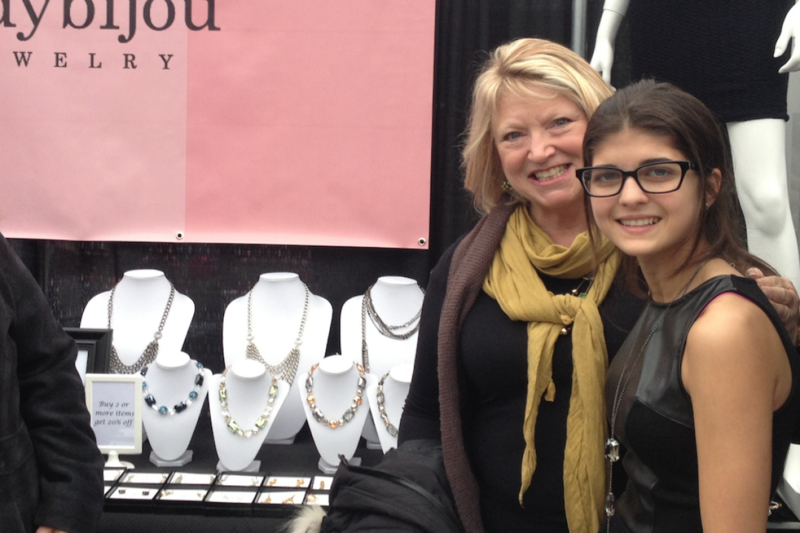 More than half of the students have gone on to secure funding and take the next step towards launching their venture. Outside of the classroom, Dr. Kilfoil works with students interested in ventures with high-growth or high-impact potential and supports students in entering and succeeding at Model Competitions, Innovation Courses, Startup Weekends, and pitch events. 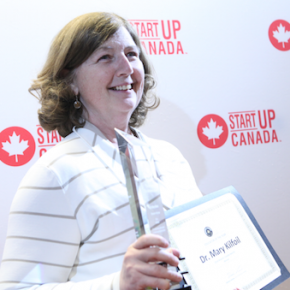 Dr. Mary Kilfoil has inspired a generation of entrepreneurs inside and outside of the classroom. Professional Services Company of the Year For 150, EY Canada has supported those who create jobs, generate wealth and give back to their communities. EY Canada celebrates entrepreneurial achievement with the globally recognized EY Entrepreneur Of The Year Awards to honour success and accomplishments of men and women who have successfully built innovative, high-growth businesses. As part of the global awards, EY Canada invites six up-and-coming entrepreneurs to attend a Ready, Set, Grow program for a once-in-a-lifetime opportunity to present to a panel of world-class entrepreneur mentors for guidance and feedback. The EY Entrepreneurial Winning Women™ program identifies high-potential women entrepreneurs whose businesses show real potential to scale — and then helps them do it. 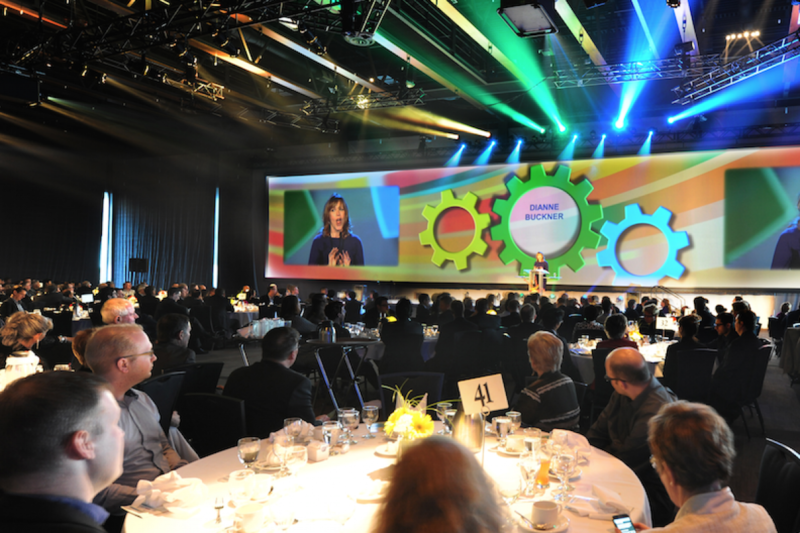 Each year, EY Canada also holds a series of Strategic Growth Forum to gather top CEOs, entrepreneurs, influential business and government leaders to share experiences on innovation, growth and the future. EY Canada has supports The Next 36 and the Rotman School of Management Centre for Entrepreneurship and Innovation at the University of Toronto. 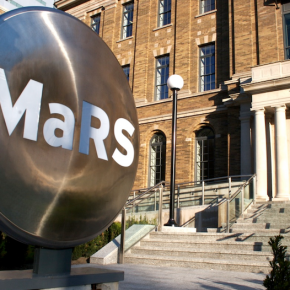 MaRS Discovery District is one of the world’s largest urban innovation hubs, located in the heart of downtown Toronto. A registered charity, MaRS helps entrepreneurs in the ICT, Cleantech and Health sectors launch, grow and scale the innovative companies that are building our future — startup ventures with broad economic and societal impact. 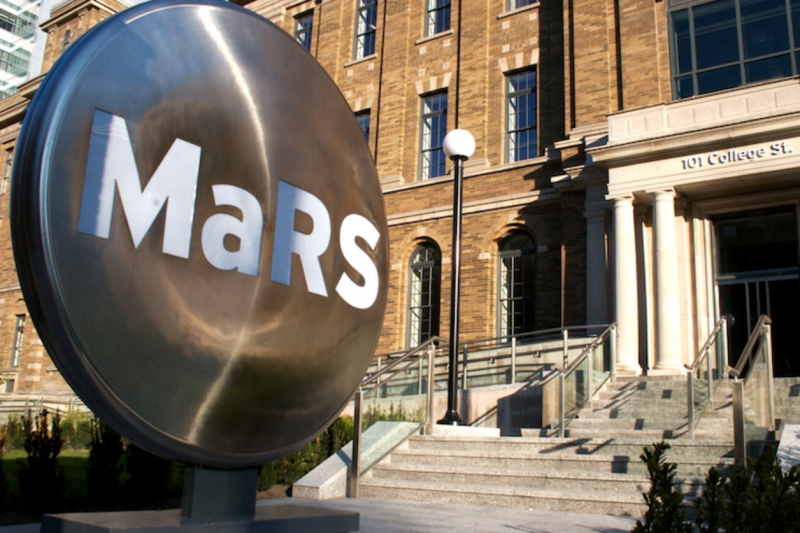 MaRS provides entrepreneurship education tools that entrepreneurs around the globe, expert advice & market research, and helps to make connections to the talent, customers & capital for their clients to succeed. By supporting entrepreneurs and their new ventures, adapting their products & services to larger organizations, and working to make systems more receptive to innovation, MaRS performs a key role in generating positive economic and societal impact. 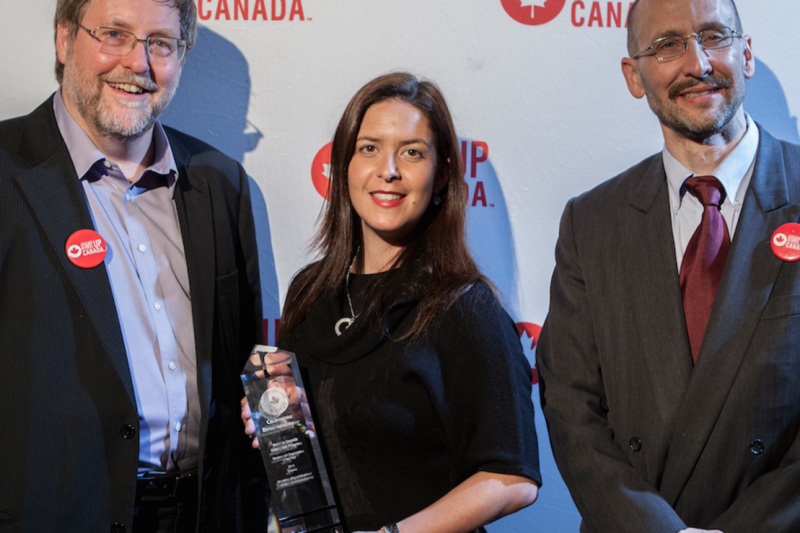 2014 Government Organization of the Year BCIP is a procurement program created as a pilot in 2010 to bolster innovation in Canada’s business sector, and to help companies bridge the pre-commercialization gap for their innovative products and services. Building on the early pilot program success, Economic Action Plan 2012 allocated additional funding for three years. As of 2016, $40 million will be permanently dedicated to the BCIP annually. 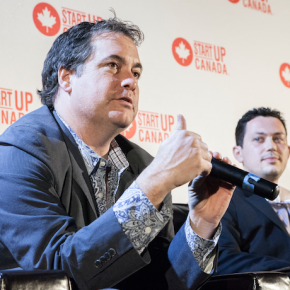 The program provides the opportunity for innovators to: sell their pre-commercialized goods and services to the Government of Canada; connect with potential clients in federal government departments; get feedback on the use of their innovations in an operational setting; and enter the marketplace with a successful application of their innovations. The BCIP targets innovations in the environment;safety and security;health;enabling technologies; andthe military . The value of contracts under the program’s standard components will continue to be up to $500,000. Under the new military component, innovations could be eligible for contracts of up to $1 million. To date, 72 contracts have been issued to Canadian companies through the BCIP. Winner of the 2014 Anchor Company of the Year Microsoft Canada has been a long-standing and proud supporter of entrepreneurship and startups. 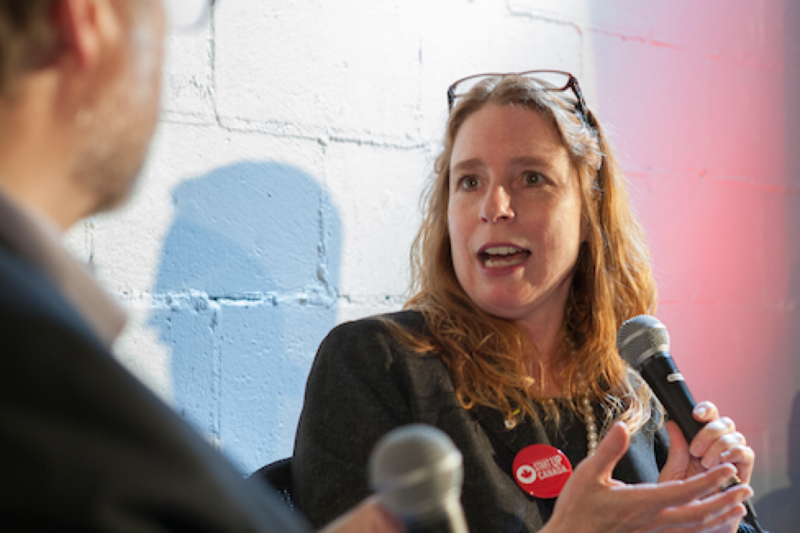 Microsoft has extended its support to include three “In Partnerships with Microsoft Ventures” locations across the nation at Launch Academy in Vancouver, Notman House in Montreal and MaRS in Toronto. These lounges give tech startups the chance to connect with Microsoft employees 1 on 1, learn about programs like BizSpark, get help with launching their startup in the cloud with our free Azure benefits, and unwind in the lounge to play Xbox! 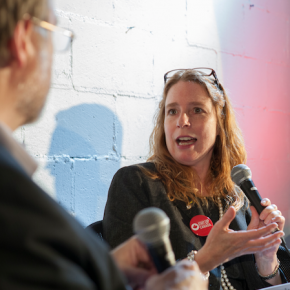 Through partners like Startup Canada and by working with their vibrant startup communities across Canada, Microsoft has been able to directly engage in many inspiring events, programs, training sessions and discussions to help startups succeed and grow. Microsoft looks forward to working with and supporting the next generation of technology companies right here in Canada. 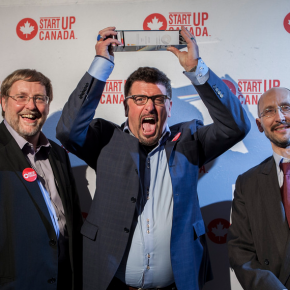 2014 Incubator of the Year TEC Edmonton helps tech entrepreneurs accelerate their growth. In addition to being the commercialization agent for University of Alberta technologies, TEC Edmonton operates Greater Edmonton’s largest accelerator for early stage technology companies, including both university spinoffs and companies from the broader community. TEC provides services in three broad areas: client business development, technology commercialization, and entrepreneur development. TEC’s ~125 active clients are an outstanding group of companies. Since 2011, TEC clients have generated $310M in revenue, raised $160M in financing and funding, invested $85M in R&D, grown both revenue and employment by 25% per year, and now employ over 1800 people in the region. In addition, TEC has assisted in the creation of 14 spinoffs from the University in the last two years. In 2013 TEC Edmonton was identified by the Scandinavian UBI University Business Incubator Index as the 17th best university business incubator in the world — and the best in Canada. Winner of the Wolf Blass Lifetime Achievement Award Gerry Pond has vision. 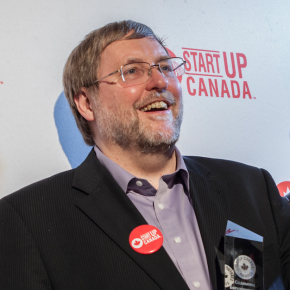 Over the course of his carreer has showcased that vision as a leader in Canada’s technology sector, from the groundbreaking work of teleco NBTel to helping build Mariner Partners from an idea to a multinational company to the launch of East Valley Ventures. He knows that growing our economy demands innovation and hard work. 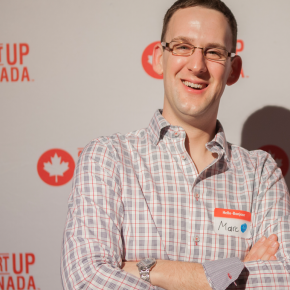 He has played a key role in some of the biggest startup deals in recent Canadian history with the success of Radian6 and Q1 Labs. But Gerry has been much more than an investor. 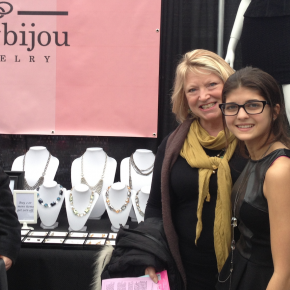 He’s been a mentor to countless entrepreneurs. 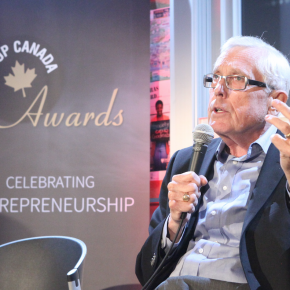 Much of the startup ecosystem that has taken root in Atlantic Canada can be traced back to the seeds planted first by Gerry Pond, including the Atlantic regional accelerator, Propel ICT. Of course, Gerry’s work goes well beyond the business world. He’s been on the boards of many community and charitable organizations, including co-chairing the Economic and Social Inclusion Corp, New Brunswick’s poverty reduction initiative. 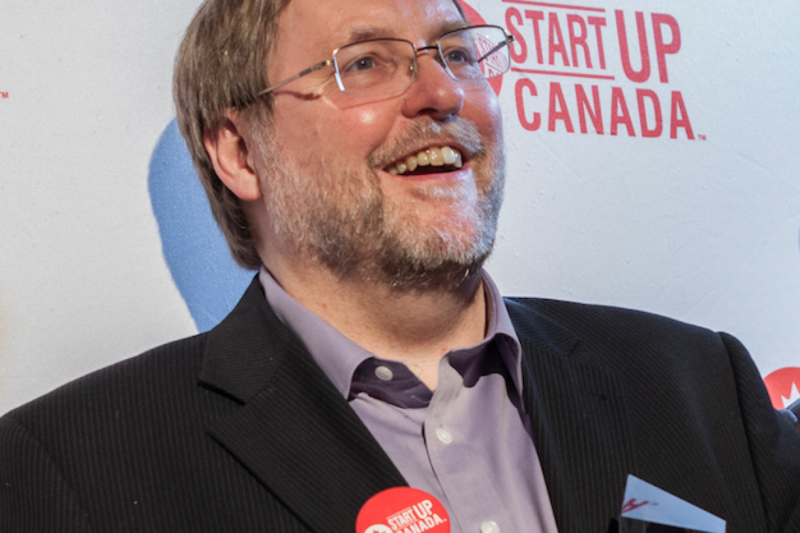 He also co-founded the Pond-Deshponday Centre for Innovation and Entrepreneurship at the University of New Brunswick, which supports the development of social and conventional entrepreneurship. 2014 Media Person of the Year Rick Spence has been a business journalist for 25 years, as managing editor of the Financial Times of Canada, editor and publisher of PROFIT magazine, and national entrepreneurship columnist for the Financial Post. Early on, Rick discovered he preferred writing about entrepreneurs. 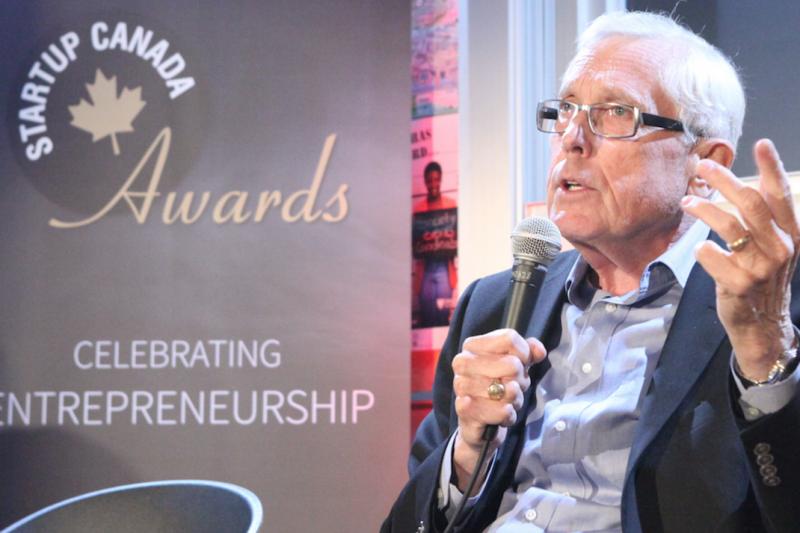 Rick’s stories have helped Canadians better understand the potential of entrepreneurship, has resulted in changes to government policies, and has inspired many entrepreneurs to pursue greater success. He also discovered Kevin O’Leary, for which he refuses to apologize. Rick’s innovations, such as PROFIT Magazine’s PROFIT 100 list of Canada’s Fastest-Growing Companies, and PROFIT’s other lists, Canada’s Hottest Startups, and the Women 100: Canada’s Top Women Entrepreneurs, have helped focus attention on Canada’s best performing entrepreneurs, and have inspired thousands of others to work harder to qualify for these awards rankings. He sees entrepreneurship as one of the most important forces for leading and creating social change. As such, he expects never to run out of story ideas.